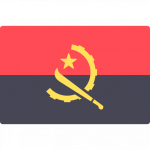 Gelson Dala is a male forward from Angola, who has been playing for Rio Ave FC in Portugal since January 4, 2018. The 22-year-old Gelson Dala was born on July 13, 1996 and is therefore three years younger than his team's average age. He is currently fourth in group Gr. 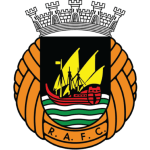 A of League Cup (Portugal) and ninth in Primeira Liga (Portugal) with his team Rio Ave FC. He was used in 16 of the matches in the present term. Measuring 175cm, Rio Ave FC's average player height succumbs Gelson Dala by 7cm. He is playing as forward in Rio Ave FC together with Murilo Freitas, Bruno Moreira, Wenderson Galeno, Carlos Carvalho, Ronan Jeronimo, Ahmed Said, Nuno Santos, Jose Postiga, Andre Silva, Andre Ricardo Ferreira Schutte and Gabrielzinho. He received five penalties throughout his entire career (all yellow). In the current playtime, he caught 3 yellow cards. Gelson Dala's longest stay in a team counts two years and 10 months in Sporting Lisbon B (Portugal). Considering he weighs only 143.3lb, Gelson Dala is approximately 22lb lighter than the average player of Rio Ave FC. He was contracted to a few clubs during his professional career, one of them being Primeiro de Agosto, for whom he played before coming to Portugal. The briefest time his spent on a team counts 17 months in his present club. At Rio Ave FC, Gelson Dala is the owner of strip number 57. He changed four clubs throughout his career as professional. On the whole, he joined the pitch 13 times and left it 18 times after the start of the match. In the present term, he left as many games before the final whistle as he joined after match start. Gelson Dala is enjoying a great Primeira Liga 18/19 (Portugal) season so far, netting six times (11.1% of his team's sum) and initializing four goals. This leads to roughly 0.25 assists and 0.38 scores per match in the resent season. One could say he translated to a slightly improved form compared to last year yielding a per-match-quota of 0.42 goals and 0.08 assists. 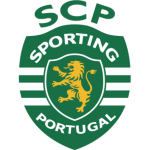 Further, he also operates for Sporting CP. In terms of winning, his team was able to do so in none of League Cup's and in only 20% of Primeira Liga's matches. Throughout his professional career, Gelson Dala participated in 46 games, the last appearance being 13 days ago. In terms of top seasons, the Segunda Liga 16/17 (Portugal) was his best one yet, breaking three personal records in terms of not only goals, but also assists and appearancesgoalsassistsappearances.